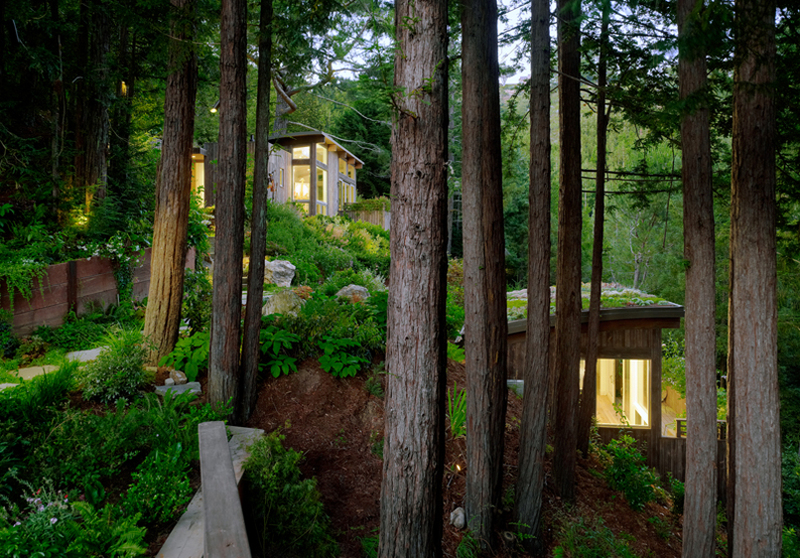 This duo of cabins nestled within a forest in Mill Valley near San Francisco were designed by Feldman Architecture to accompany an existing residential dwelling. 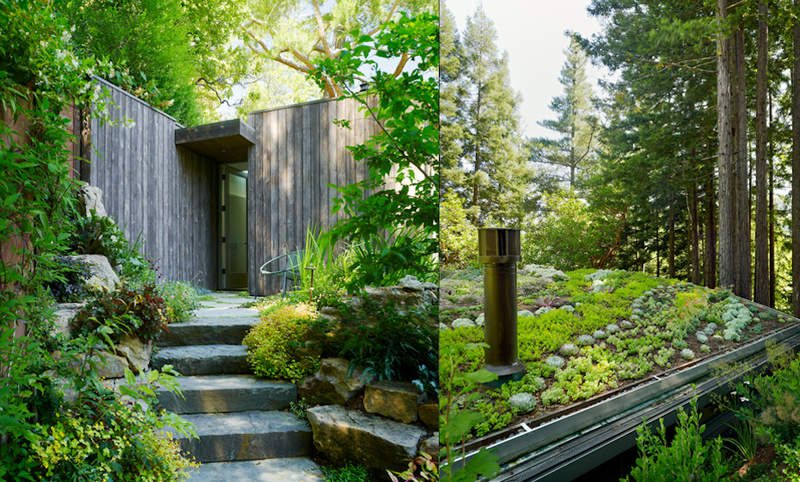 The Mill Valley Cabins were built primarily to provide additional recreation space with one cabin serving as an artist studio, the other as a yoga space with guest accommodation, and the roof of the lower cabin providing garden space for an array of ‘succulent’ plants such as sedum. 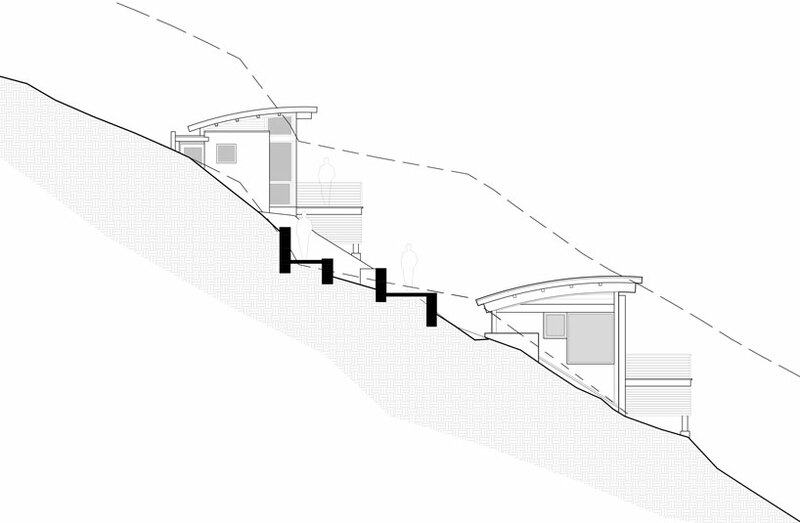 An immediately noticeable aspect to the project from a construction point of view is the surrounding natural environment; the two cabins were built on a steep slope as this architectural section drawing shows and the structures are nestled amongst trees. 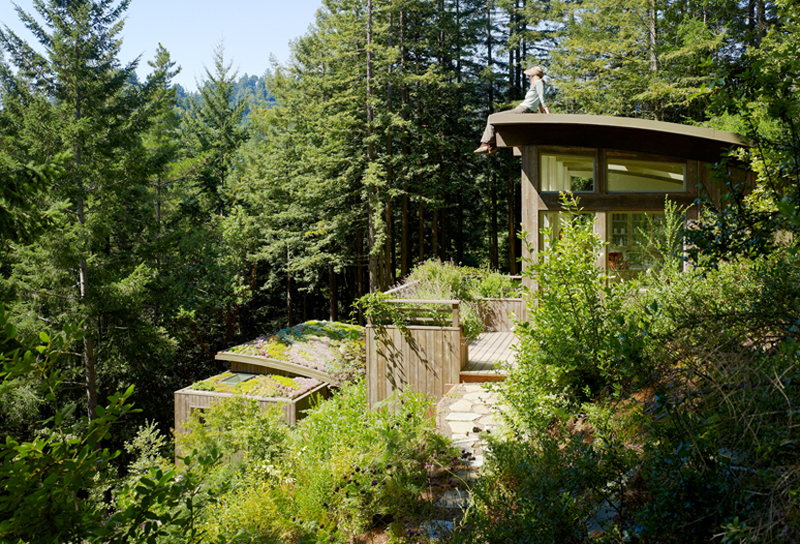 Careful consideration was obviously taken to avoid disturbing the existing landscape as the Mill Valley Cabins look as if they have been there all along and the natural scenery has grown around them. 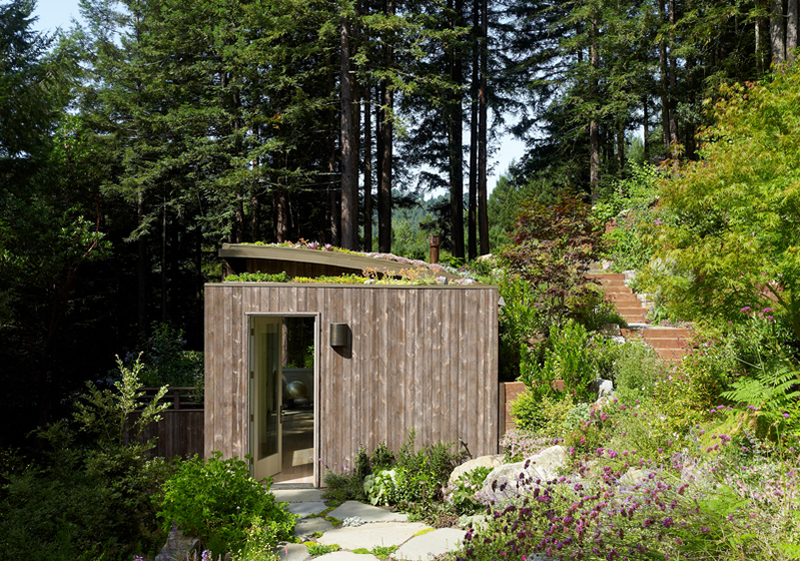 The cabin situated lower down the hill features a garden roof which is visible from the cabin above. 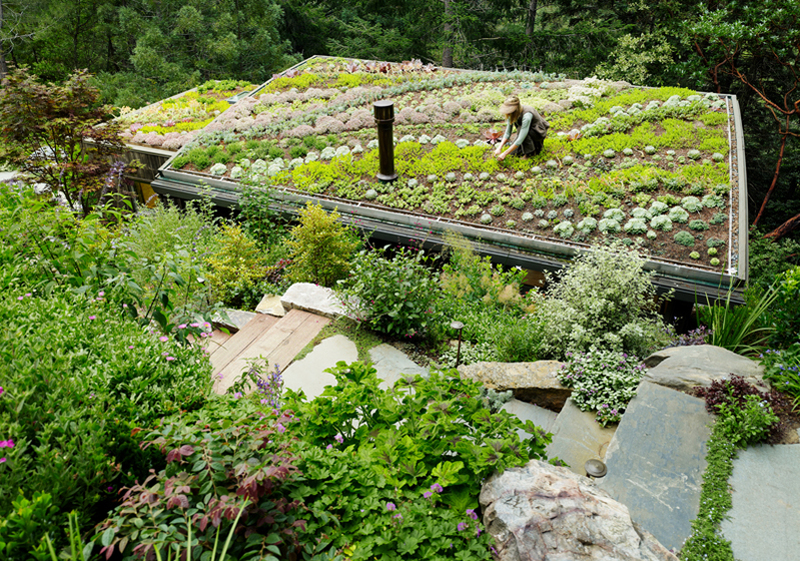 It’s got to be one of the most amazing living roofs I’ve ever seen with different plant species arranged in a banded pattern. These kind of plants are classed as succulents as they store a lot of moisture within themselves and require minimal maintenance. 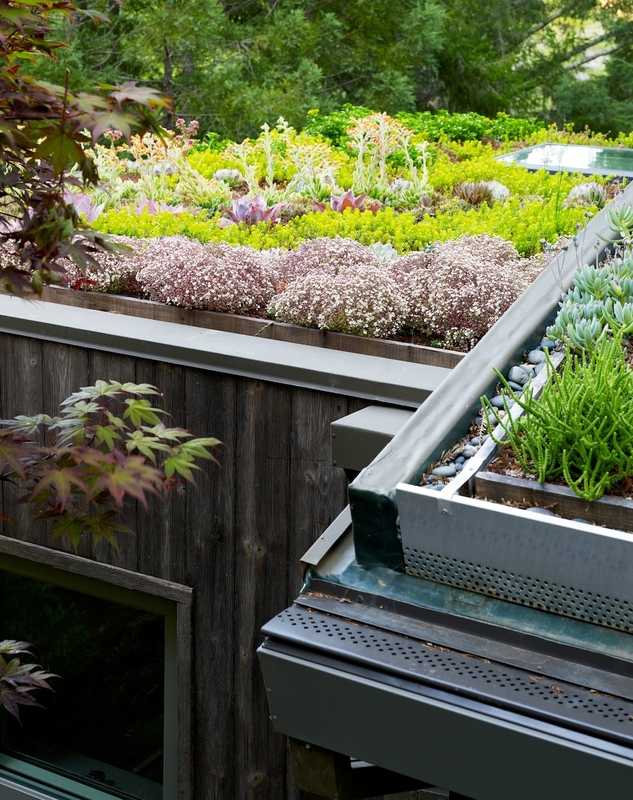 These are also often referred to as sedum roofs; sedum being a variety of succulent plant. 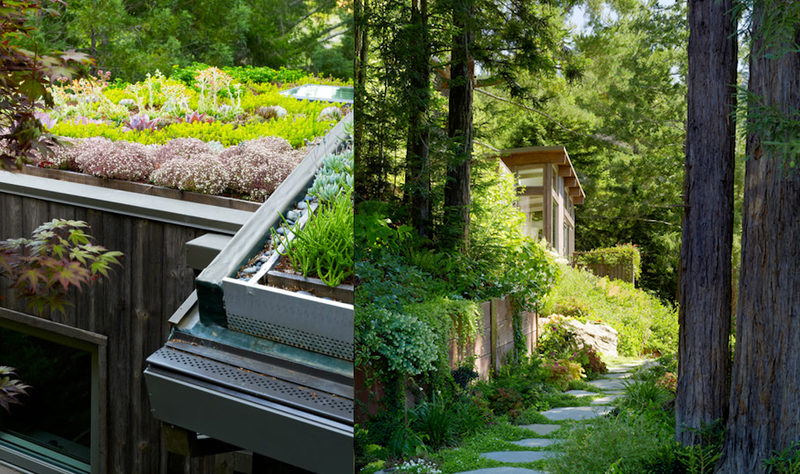 Living roofs are often incorporated in sustainable, eco-friendly dwellings as they are surprisingly insulative and of course mean that the house isn’t taking up a space that could otherwise be inhabited by plants. 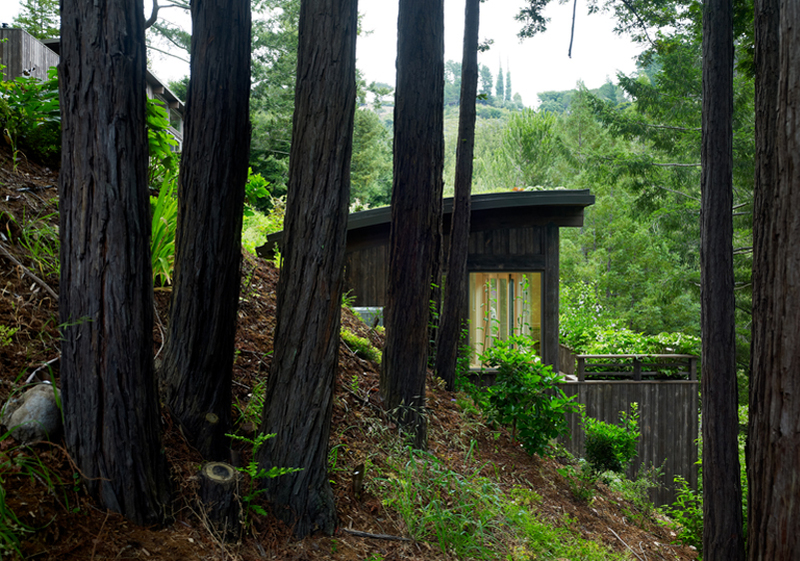 The exterior of the cabins has been clad with timber that has ‘silvered’ over time to subtly blend with the surrounding trees. Cedar is a wood commonly used for this kind of exterior cladding that silvers in this way which doesn’t require protective coatings due to its natural oils. 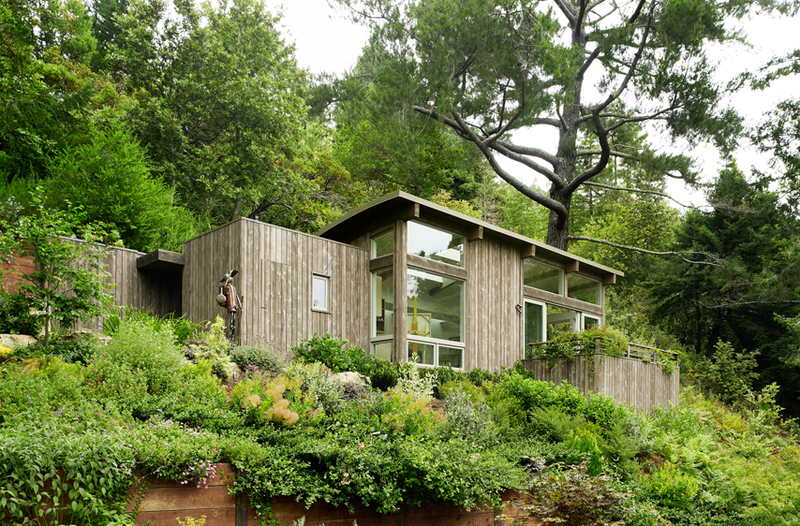 Cladding made of cedar was incorporated into Ecospace studios and the makers claim it can have a lifespan of over 90 years even if left untreated. 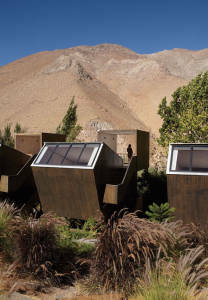 The roofs of these cabins are mono-pitched to allow water to run off and also gently curve to form slopes. 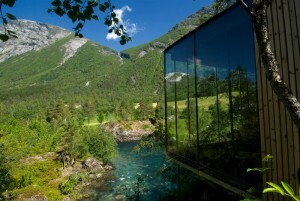 This gives the interiors of the cabins a modern feel with curved ceilings but externally the curve in a sense diminishes the cabins making them more sympathetic to their surroundings.